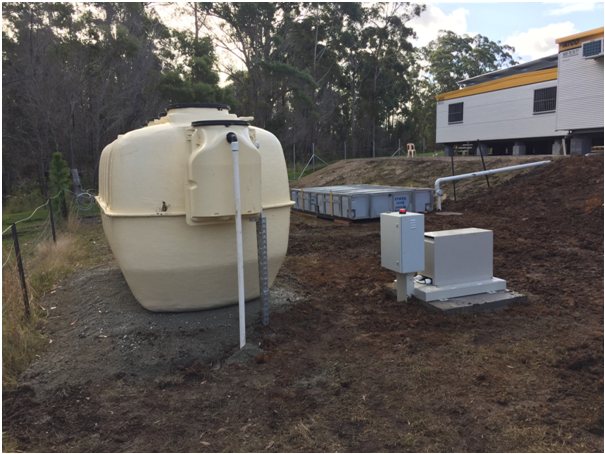 Pacific Highway Upgrade True Water Australia has completed the installation of a 5kL Class A Kubota Sewage Treatment Plant (STP) for Civil Mining and Construction Group at South Grafton New South Wales. The Kubota Sewage Plant will service the works depo for a 30km section of the highway south of Grafton. The Australian and NSW governments have been jointly upgrading the Pacific Highway to provide a four-lane divided road from Hexham New South Wales to Queensland. The CMC Group showcases a growing construction portfolio with an annual turnover exceeding $200 million and a team of more than 300 staff. They are committed to growing and diversifying CMC as a major multidisciplinary construction group throughout regional and metropolitan Queensland. The site is designed as a temporary compound to assist in the Pacific Highway Upgrade. As such an above ground system was recommended by True Water Australia’s consultancy team to allow for relocation in the future. This design is common in the mining industry as it suits the application for temporary works or exploratory missions with the cost of alternative waste removal (portable bathrooms and pump trucks) being too expensive an option. The commercial sewage system provided was a Kubota HC-25B providing the ability to treat 5000L per day with surface sprinkler irrigation minimising installation time and cost. With low running cost, no smell or noise the Kubota system is comprised of the world’s leading technology in wastewater treatment. True Water Australia will continue to service the Kubota system quarterly to ensure the quality of the treatment and will keep you posted on it relocation when the project is set for completion in 2018.